Health and fitness is something I’ve always been interested in, so in 2012, I started a separate blog, Honey We’re Healthy, and I shared recipes, workouts and my first fitness contest journey there. That content is still up if you want to take a look, but having a second blog ended up being difficult to maintain. I’ve always done all my own posts from planning, preparing, writing, editing, photographing, social media, etc. 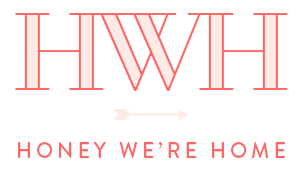 so the only “blog team” here is me! Thankfully, y’all said you’d like to read health and fitness posts here, so in 2015 I started sharing that here. 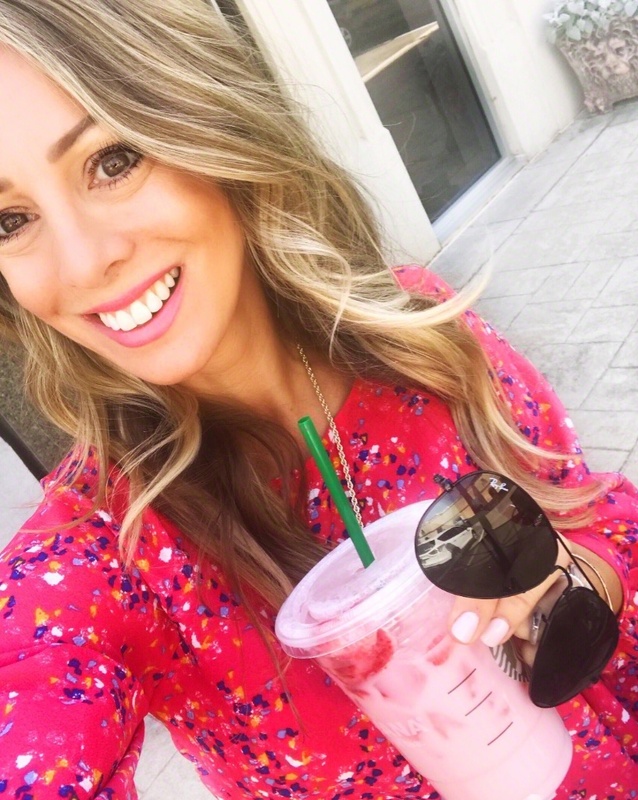 So, beginning with my pregnancy (which happened to collide with my 2nd bikini contest), here are some of the most popular Food & Fitness posts. Click the title of each post to read that post in its entirety. I’ve been asked recently if I plan to do another contest anytime soon and the answer is, “hell no!” It’s so much work, and even more mentally/emotionally challenging to stay on the diet. The workouts and cardio are grueling, but keeping on track with the food is always the biggest hurdle for me. But, having said that, I have always loved the feeling of working hard and watching my body transform over the course of 3 long, yet short, months. After you finish a contest prep, you feel like you can accomplish anything! And you feel physically great from being lean and muscular and fueling your body with such clean food. Despite my resounding, “no”, I actually haven’t ruled out the idea of competing again. Getting on stage is my least favorite part, but having that contest date looming really motivates you to stay on track. IF I were to do one again, I’d prefer to do it in the beginning or end of year, but not the summer, because that limits you so much with not being able to eat out or travel without packing your own food. If I did a contest again, would you want to read about that journey here? Let me know in the comments. I credit continuing to workout and eat healthier for feeling so much better during my second pregnancy. I kept up my workouts and did a leg workout the day before Jordan was born! I gained about 15 pounds less the second time, and the weight was easier to lose. But it didn’t come off immediately. I was proud to share the real deal, body after baby pics, it’s completely normal (if a bit disheartening;) to still look pregnant after you initially give birth! and after 3 months, it wasn’t off completely. But I was feeling much more like myself after being given the green light to start working out and running again. Running is such a lifesaver for me. I’ve said it a million times, but it’s my (free!) therapy to get my stress out. I’ve been slacking a bit lately, need to get back to it, but it’s been all rainy, so that’s my excuse. Once you make it a habit, it just comes naturally. 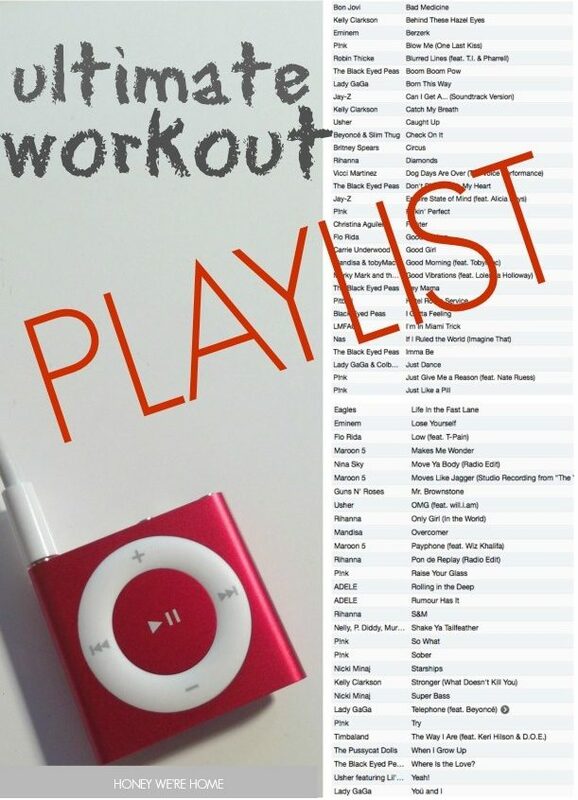 And I completely endorse running with music. So many songs get me through the next steps when I want to give up. Or they make me run faster! I shared some of my favorites in this post- hope it gives you some new tunes to download. Getting to the gym is much harder with a baby to breastfeed round the clock. 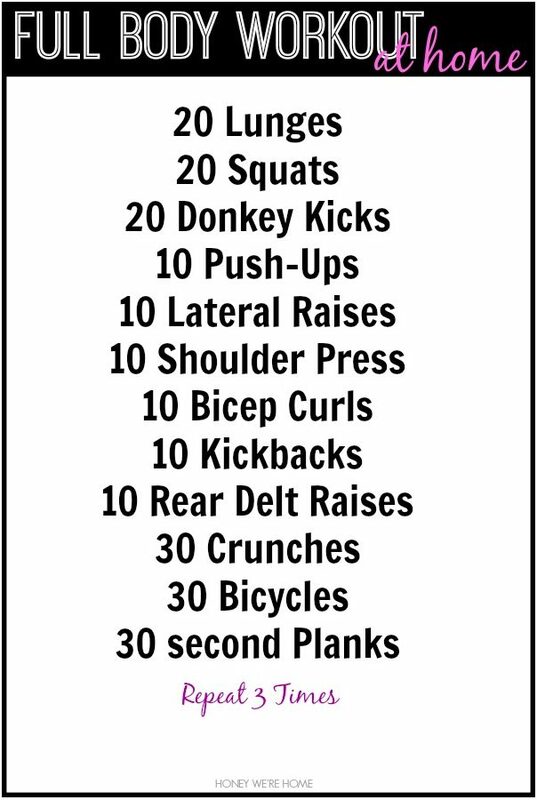 I’m down to one day a week at the gym, but I still workout at home and shared a quick, full body workout you can do in your living room here with just a set of dumbells. And they don’t have to be that heavy! We were so blessed to have friends who brought us meals for the first 6 weeks of Jordan’s life. My girlfriend Ali-Shaun set it up through Meal Train, which I highly recommend if you want to do something like this for a friend. 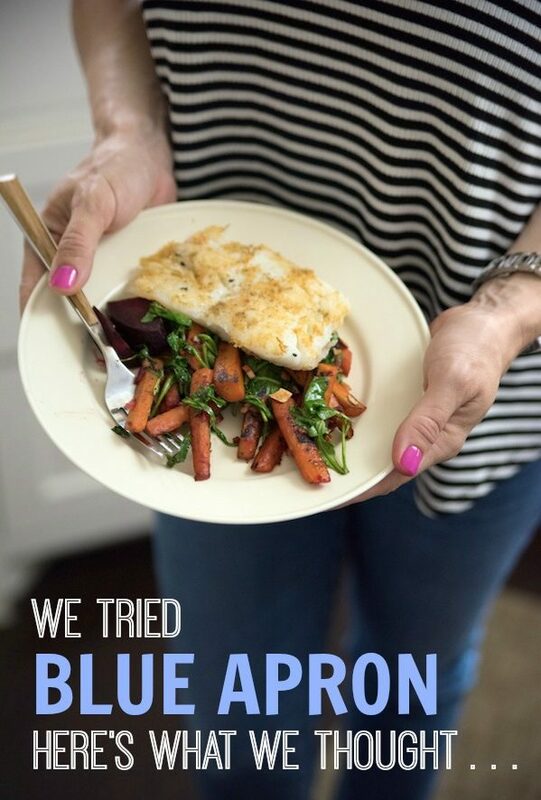 After the meals were over, it was up to us to fend for ourselves again and we tried Blue Apron a few times and loved it. It’s a break from the typical, go-to meals we tend to eat over and over. 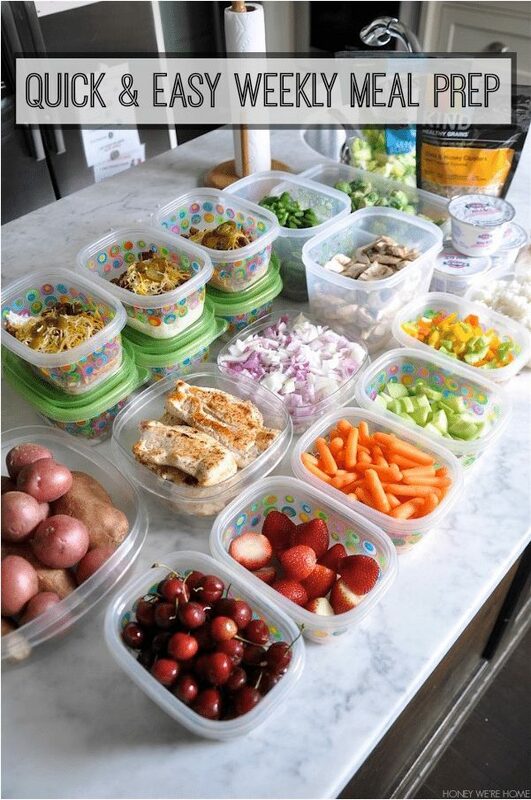 A few hours spent prepping our food each week sets us up for success in the healthy eating department. I have been getting burned out lately and definitely want to try some new food and recipes. The day camp (actually it’s only 1 1/2 hours) James has been in this week is close to a Trader Joe’s, so I was gonna stop in today while he’s at camp. What do you love to get there? I’ve only been a couple of times, so I’m not yet familiar with all their goodies. WOw I am not so fit also without pregnancies…I'm curvy girl and I am losing weight still keeping my curves:D…however you did a great job!!! It's a work in progress for me, one day at a time! I recently purchased a new cookbook that we love. Down Home Paleo. Quick healthy meals, free of most allergens, and many of the recipes are kid friendly. Just posted the blueberry brisket recipe yesterday. We've made the chicken fajitas (lettuce wrapped) and made the savory pork chops last night (slow cooker, amen!!). We usually half the recipes for just the two of us, but you could make the whole thing and have leftovers for lunch. Blueberry brisket?? I've never heard of that! I'm all over the slow cooker meals though, make life so much easier! Megan, I actually found your blog because of the ORC! However, I've stuck around because I like seeing your fashion and fitness posts. Even though I'm 2 years older, and several pounds heavier than you, I find these posts so relatable and inspiring. 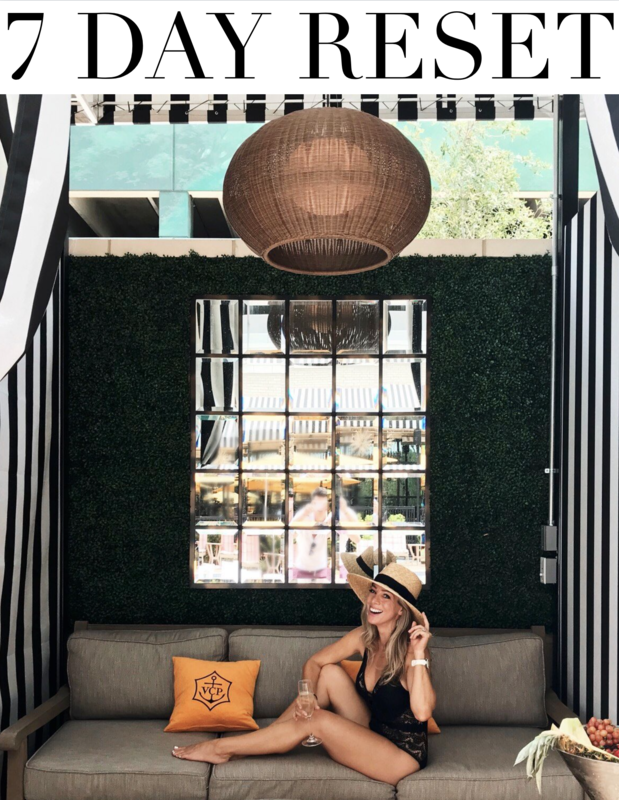 I love seeing someone with the same build as me (short with "athletic" legs) and about the same age as me rocking it in the health and fashion departments! Thanks so much for the inspo..! It's good to learn how to dress our bodies in a flattering way! Thanks for letting me know you like these posts- I plan to keep them up! You're on the ball! I remember wanting to know what was going to happen to my body during and after pregnancy too. 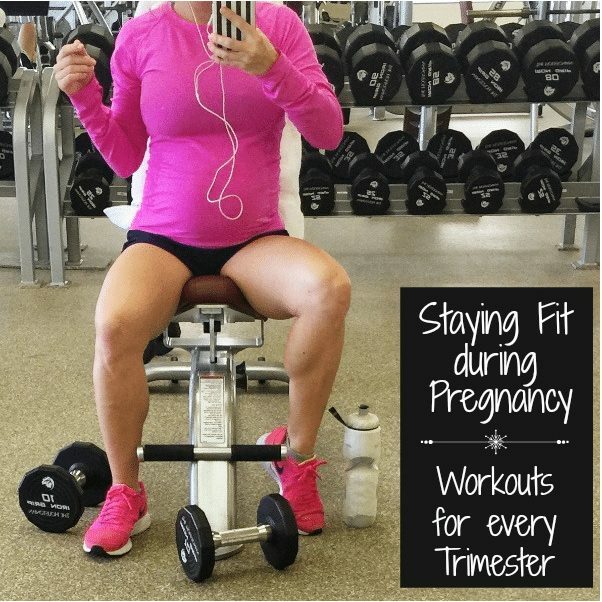 You can rock your pregnancy if you keep exercising and eating healthy! They have frozen fruit that is delicious to eat frozen as a snack. Next week I'm trying CookSmarts. I've been hearing about it. Online it lets you adapt the recipes and print out a grocery list. Making a list is the worst part for me! Never heard of that- thanks for sharing it. My problem is we get stuck in a rut eating the same thing over and over. I use Pinterest a lot for new ideas and have a "dinner" board to refer to. 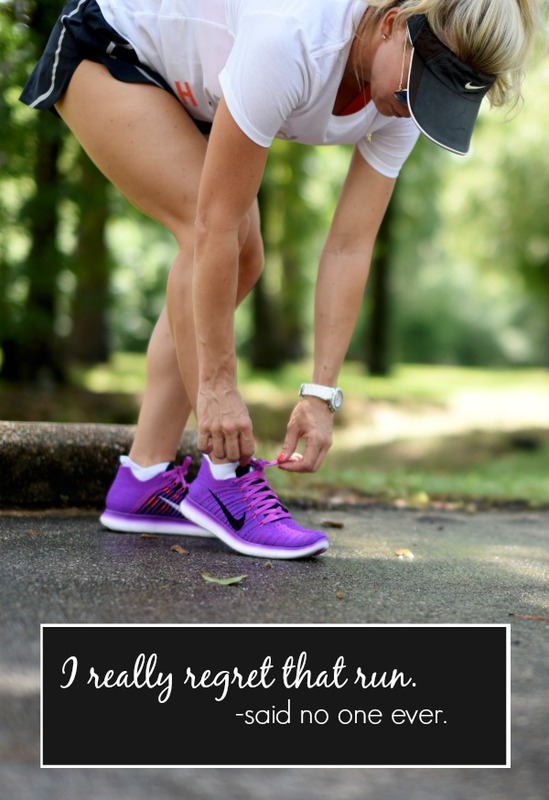 I would love to read more about your fitness journey, that's how I found your blog. I love that we are the same size. It makes it really easy to get an idea of fit. One of my favorite meals to make from Trader Joes is chicken sausage and sauteed peppers. I like the jalapeno flavored best. I serve it over arugala with baslmic vinegar or over brown rice. Just went to Trader Joe's today! I was looking for the chicken sausage, but didn't see it. That meal sounds like something we would really like.